In many cases, “it” is a defined problem requiring surgery or unpleasant treatment. In other cases, it is not clear what is going on. In this case my “it” is 3.1 parts per billion glyphosate in my body. Glyphosate in my body! 3.1 parts per billion! Huh? Say what? How? Why? A quick summary- skip if you know about glyphosate. Glyphosate started off as a patented industrial descaler invented to bind to heavy metals. 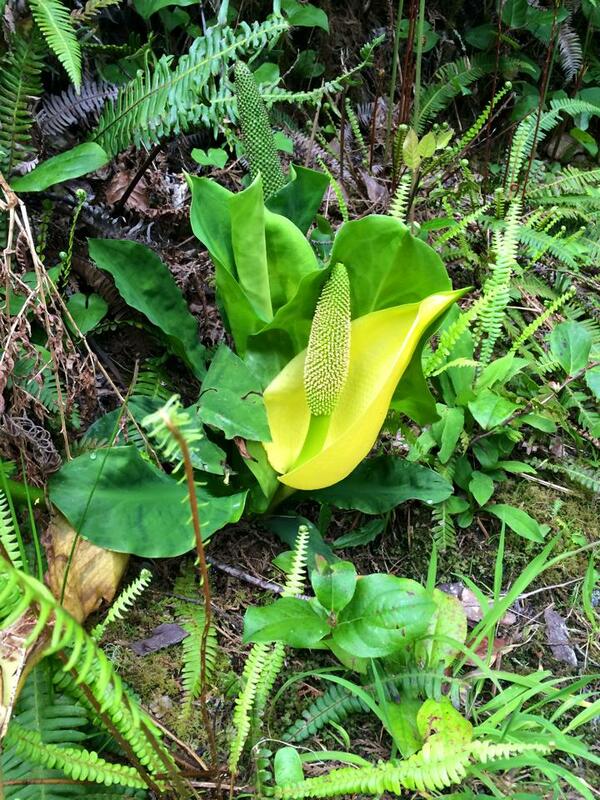 It was discovered to kill plants and then used widely as a herbicide. Resistance was spliced into most GMOs that are available for human consumption. This is in order to control weeds (I won’t talk about superweeds and resistance to glyphosate in this post). It kills plants and bacteria by disrupting the shikimate pathway. So farmers spray glyphosate on GMO crops such that everything in the field dies except the GMO plant. Some folks call GMOs: Glyphosate Modified Organisms. Glyphosate is also widely used as a dessicant, killing and drying out a field of non-organic wheat, for example, to allow the farmer to harvest the field in one go. (The wheat isn’t washed before it’s ground into flour.) Other crops are also subject to this dessicant treatment. This is not a GMO application, which makes it perhaps even more insidious. Glyphosate was originally considered ‘safe’ because it doesn’t attack human cells. Well, there’s a more sinister application of glyphosate; Monsanto patented it a few years ago as an antibiotic because they determined that it kills bacteria. Guess what? We humans walk around with 10 bacteria cells for every human cell. So it attacks our micro-biome (the magical mysterious universe of gut bacteria). I certainly didn’t expect such a level of 3.1 ppb. What does it mean to have 3.1 ppb in my body of glyphosate? To be honest, nobody really knows for sure exactly what it means in humans. But it’s certainly not *good* – how could any levels of this toxin, chelator, biocide, and antibiotic IN MY BODY be good? Without my permission. Without my volition. Glyphosate in Numbers with links to peer-reviewed studies. So, you may ask, if I suspected that I might have glyphosate in my body due to environmental contamination, why did I spend money to test myself? Simply put: I want to know. I have the right to know and empower myself. Knowledge is the first step towards change. Let me tell you what I want. I want my fellow citizens to be aware of this probable carcinogen and toxin insidiously entering our bodies. I want our governments to change laws, to protect us and to focus on sustainable agriculture than replenishes the soil. I want all toxic biocides removed from our food production. I want chemical company shills to stop claiming that glyphosate is safe to drink! But what I really really want is the growing of food to return to being an act of love. Ah.. just take a second and envision that. Smile. It’s a happy place. *Studies not funded by the companies that manufacture Glyphosate, tend to show that it is harmful. In fact, the WHO declared Glyphosate as a probable carcinogen. The US regulatory bodies, however, have relied on research provided by the companies who will profit from its sale. It’s different in Europe. 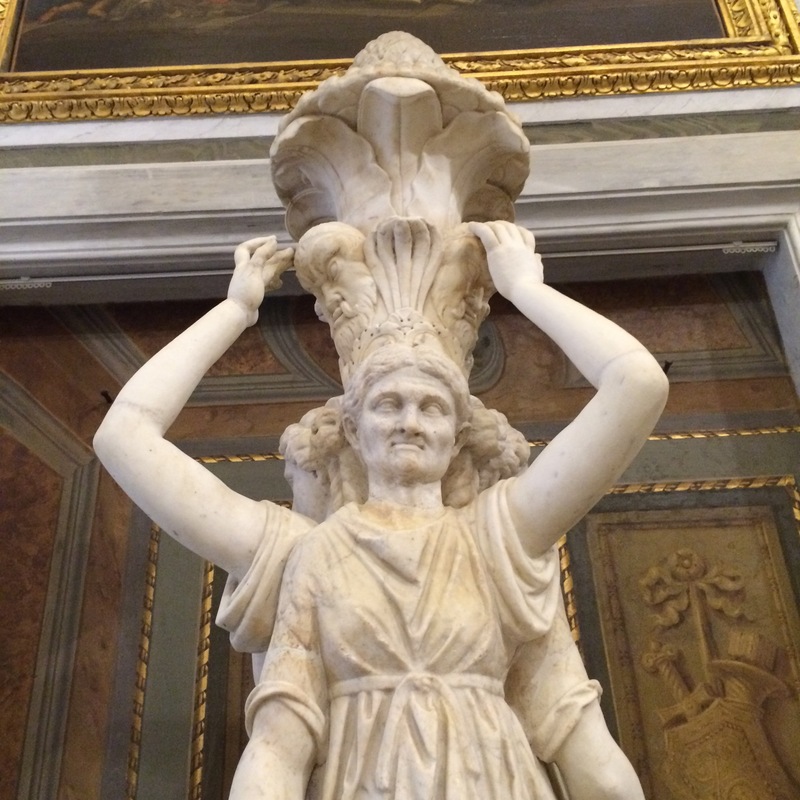 A few weeks ago in Rome, I was speaking with a forestry biologist from the FAO (sort of like the UN’s FDA). Nicolas Picard said that the FAO has a whole department who researches the *sources* and *funding* of research. They ensure that the research used in studies or to make important policy decision are independent. Thus they discount the corporate research and University research primarily funded by industry. When I mentioned how Robyn O’Brien says that researches should wear lab coat or tee shirts with the logos of the companies that sponsor them, Nicolas gleefully agreed! This entry was posted in GMOs, The Environment, Uncategorized and tagged antibiotic, Byron Shire Australia, Byron Shire Chemical Free Landcare, Chemical Free Landcare Voluteers, dessicant, detox project, FAO, Feed the World, Glyphosate, glyphosate testing, independence in science, Nicolas Picard, The Detox Project, urine test on December 15, 2015 by Gurdeep Stephens. When I throw my hands up in despair over the latest GMO spliced with resistance to yet another biocide… Or hear ill-informed peeps tout dubious benefits of biotech… It’s enough to weep rivers of despair. But when I go to eat, I perk up and remind myself that I am not insignificant. No, I cannot automatically change all the misguided laws and foul decisions in the world with the sweep of my hand. I cannot reverse climate change by wishing for it. I cannot magically make all toxic chemicals vanish and extinct creatures extant. I cannot make billions of bees come back from the dead. And no, I cannot reverse the loss in biodiversity by feeling bad. However, I can do little things. You too! Little things that you and I can each do daily and repeatedly. We can sign petitions for social and environmental justice. More importantly, we can choose how to spend each dollar in this consumeristic society we live in. We can choose what kinds of systems and companies get our support. And as we make the choices about what to feed our loved ones, we – by default – choose what kind of farms to support. Voting with every bite on our forks. Because when we choose well, good things grow. This entry was posted in Uncategorized and tagged farmer, Organic farming, wendell berry on July 8, 2015 by Gurdeep Stephens. What does this have to do with Sea Wench? Admittedly, my segue-way is a little obscure. But it highlights the difference between things you don’t have to look up to see if they’re safe to use versus a synthetic chemical that didn’t exist before the 1950s. I have read much about our world’s toxic overload and so many untested chemicals. For example that 2,4 -D (active ingredient in Agent orange) and glyphosate are now sprayed on GMOs in combination hasn’t been tested for safety. Neither have thousands of ingredients used in cosmetics and food. The manufacturers declare them as GRAS (Generally Regarded As Safe) and therefore don’t have to prove their safety. In the opening quote I lifted from Sea Wench’s website, they mention the historic protests to save Clayoquot Sound from clear-cut logging. 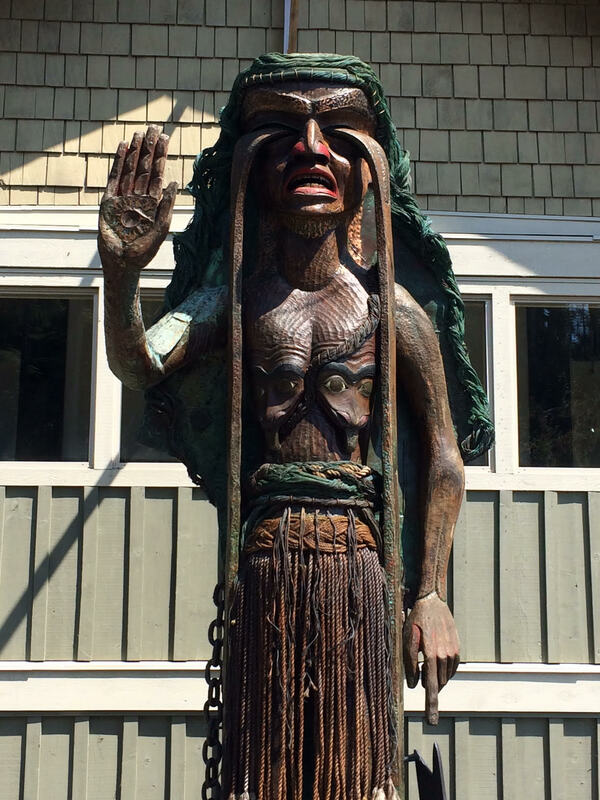 Uncle Godfrey carved the Weeping Cedar Woman for these protests (pictured above). It was a big deal – I didn’t go but my sisters and cousins went out and protested. Even Canada’s former environment minister David Anderson protested. And of course, Sharon and Chris had to have been a part of it. Everyone standing up for the trees. Full-circle, man! We are all interconnected and interlaced. Highlighting and celebrating the noble, just and true…we are woven together in this cycle of inspired and inspiring. This entry was posted in Uncategorized on July 2, 2015 by Gurdeep Stephens. Awards can be a wonderful thing. I was given a medal a couple of years ago for being a living organ donor. The medal sits in a custom wooden box on a shelf, under a 1970s wooden carved bust Godfrey gave me to when I was a teenager. The award is but a symbol. The actually blood and guts sacrifice is impossible to imagine when you see the medal. However it is a nice thing to look at every so often. It’s golden-coloured and shiny. 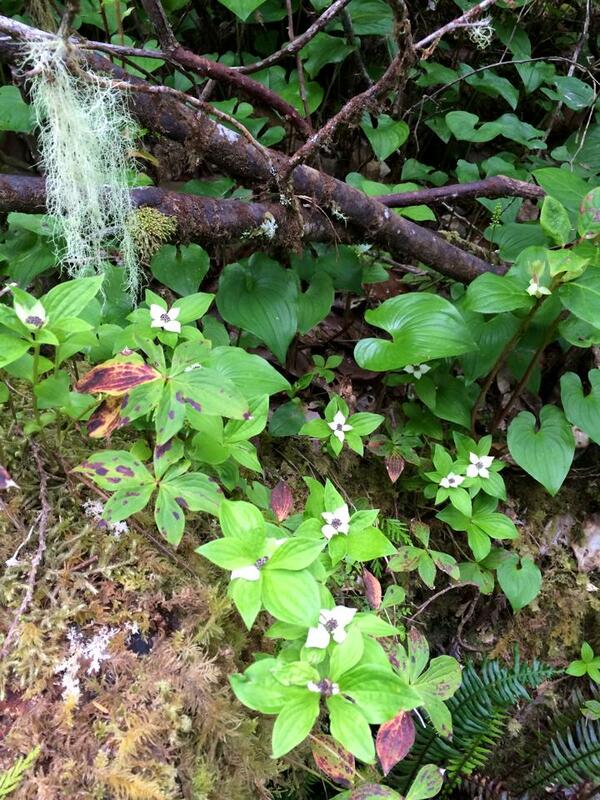 It has a dogwood flower engraved on it (BC’s provincial tree). This bitty piece of metal is a symbol of that particular struggle and the triumph of life. 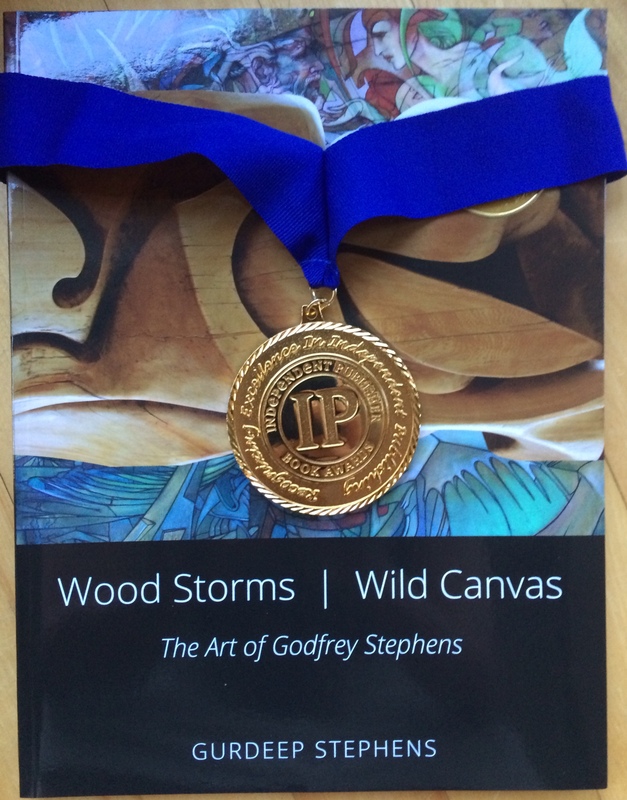 At my friend Elsie’s suggestion late in 2014, I sent a copy of my first book “Wood Storms, Wild Canvas: The Art of Godfrey Stephens” to the IPPY Awards: The 19th Annual Independent Book Awards 2015. Then I promptly forgot about it. Then I remembered about it a few weeks ago. So, I went to the website. Didn’t see my book listed as a winner in the art category. So I forgot about it again. Then yesterday, I got a big envelope in the mail. I had no idea what was in it. Just opened it up. A chunky round metallic golden thing fell out of the envelope and almost broke my toe! This award is particularly lovely because it’s truly independent recognition – after years of planning and months of furious work with a free-spirited, loving, wonderful y muy complicado artist who is my father’s older brother. It is also a testament to all the people who contributed words, photos and stories… from my father to Lloyd Kahn to Robert Amos. Peter Grant to Joe David to Aija Steele. Truly, many a time I worried that I might spend forever writing this book. There was so much I didn’t know about Godfrey and had to learn and pronto. I didn’t even realize that he was a ‘real’ oil on canvas painter until a few years ago! I thought he only painted watercolors and boats. How wrong I was! His large murals go back to the 1960s. I had to learn the difference between a print and an original. I had to learn how to use a camera. I ended up with a PhD in Godfrey. Over a few years, I sorted through thousands of photos letters and emails and needed Godfrey’s advice and blessing to incorporate the best of them into the book. Of course (?!) I love Godfrey to bits but to say that the process was challenging is a bit of an understatement. Here’s an anecdote that illustrates the process. me: Godfrey can you please tell me about this boat? Godfrey: It’s not a significant boat. I sailed it a couple times and then gave it away. Me: (writing this down: not a significant boat). 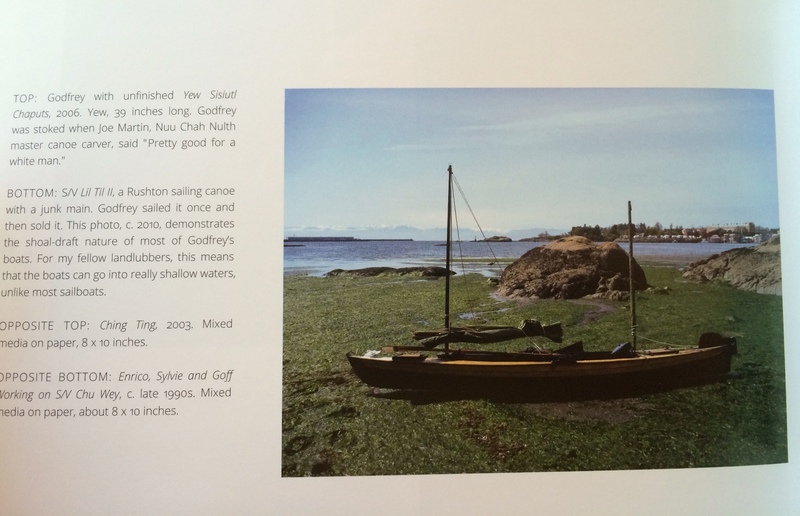 But I’d like to use it, it’s a beautiful picture of the boat on seaweed. Please Godfrey! Focus por favor. What is it called? Where is it now? When was it made? Godfrey: Gah, it’s a modified Rushton Sailing Canoe wth a junk main. I called it S/V Lil Till. Now woah! Hey! Look at this picture of my friend from Jamaica in 1964. No – – OH! Look at this one! Me: Godfrey can I just review with you some of these pictures before I leave? Godfrey: Wait! Just look at this picture now! Me: Godfrey please focus with me. Godfrey: yeah, but listen to this groovy tune. This takes me back to Paris where I lived on the Seine in a houseboat owned by Picasso’s dentist. Me: Really? Wow. (looking at my watch and putting the photo of the boat in front of his nose). Okay Uncle G, I have to go, I wrote that this is S/V Lil Til, a Rushton sailing canoe. Also it’s not a significant boat. Godfrey: WHAT!!!??? WHY ARE YOU SAYING THAT’S NOT A SIGNIFICANT BOAT!? Gurdeep, it has travelled all over the world, on the Nile and in all the oceans of the world. You can’t say that it’s not significant! Me: (sheepish, incredulous and mildly indignant) I’m just reading back what you said a few minutes ago. Godfrey: You have to get your facts straight. Repeat this process for each image and word that went into the book. The Storms in the title could very well refer not only to the art but the process of creating this book. We argued (in mostly a friendly way) ad nauseum. Poor Godfrey, neither of us had ever published a book before and we didn’t know really what we were doing. The worst were low-res photos that would print small but looked good on screen. Godfrey couldn’t understand why… We also argued over text. Godfrey wanted me to not have any explanations about the art. He wanted to include his friends and their art. And write the whole book in Haiku’s. Or better yet, without any words whatsoever. “Make people really work to understand it,” was his idea. I like the idea of an experimental book but I wanted a more classic coffee table book. Godfrey is hard enough to understand to begin with. And his art! His art is multiple layers upon multi-dimensional layers of meanings and quadruple entrendres. Flipping through the book Godfrey wanted would be like going through his photos with him. Interesting, entertaining and good until you had to go, leaving you a little befuddled if not entirely convoluted. I won’t get into the time I was at the studio trying to get information on photos and Godfrey decided to modify a friend’s print with some red vino…. I started the book after I recovered from being an organ donor. Wanting to preserve highlights of Godfrey’s extraordinary life and ouevre before it became ‘too late,’ il libro became a top priority hobby for me. After making 7 blurb books (which Godfrey ripped apart page by page and rightly so), I decided to hire a graphic designer to speed up the process and have someone else to collaborate with. And hopefully team up with me to counter some of the more dada-esque ideas from Godfrey. I started to work full-steam on this book after recovering sufficiently from rehab to write, talk and walk properly again. I thought it would be a gentle slide back into function. But instead of a soft landing, it was a hair-tearing few months. Fortunately, I met Marial Shea, an amazing editor who was able to be the literary sounding board I needed. She was the book’s big stroke of luck. However, in the process of making the book, I found out that a graphic designer isn’t quite the same thing as a full-time book designer. I learned this to my chagrin (the hard way) the very week that the book was due at the printers. I thought the book looked great. I had pretty much sat next to the designer for every page, a lot of which was based on my own blurb book trials. The cover needed to be redone. Massive props to excellent graphic designer Dave Carey . Through this process of making an art book, I learned that it is mostly about the pictures. From my iphone to fancy cameras, if the photo isn’t fabulous, it renders the work (however impressive) dull. So much gratitude to the twenty-something photographers who contributed photos. Especial thanks to my cousin Aija Steele for her photography. 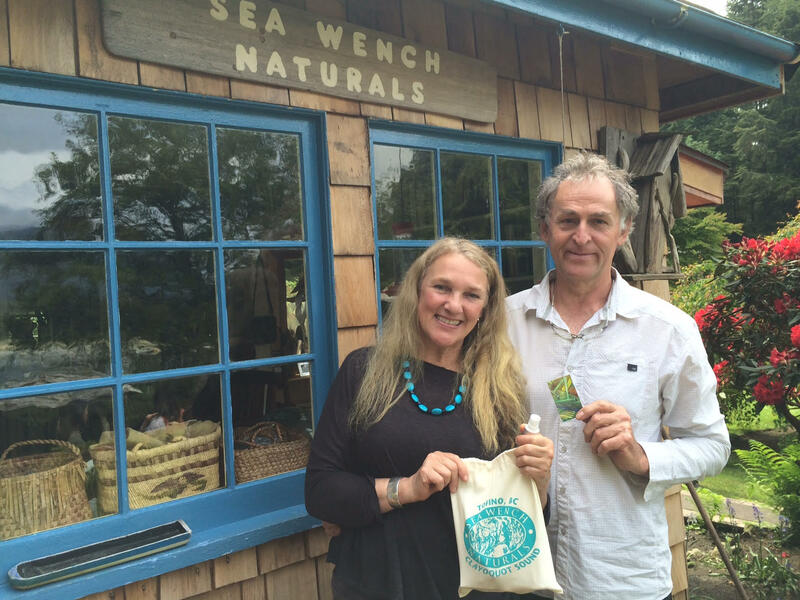 (You can see her work at the Duck Creek Gallery on Salt Spring Island). Even fixing up the low-res photos, Marial had issues with the book. She said to me that the average person probably wouldn’t notice the kinds of things she was concerned about from a book-design perspective. I didn’t really know what she was talking about. But she convinced me to scramble last minute to find a dedicated specialty book designer to complete the book. Marial explained that ‘book-people’ would really note the details. I asked my sister and mom their opinion and they both said, “Delay if you must but make the best book you possibly can’. Wise counsel. No wonder they are so successful in business. It’s all about a quality product. A dedicated book designer is a person who has been perpetually smitten with a blessed evergreen love-affair with books. The fonts, the colors, the alignment. Where typesetting is top priority. Where consistency gives shivers up and down spines (pun intended!). Book designer and photographer Jan Westendorp was on a first-name basis with Godfrey’s “Woodstorm” carving and was delighted to help make the book beautiful on a tight turn-around time for the ‘Book-intellgensia.” So, I got an extension from the printers (which wouldn’t delay the launch significantly). Jan is a marvellous creature. “I’m all about the project,” she said repeatedly doing what she called ‘a substantial renovation’ on the book. True to her words, All-About-The-Project-Jan worked day and night to meet the deadline, redesigned every spread, changed all the fonts and even re-did some of the sailing pages multiple times. It had to be. Right. 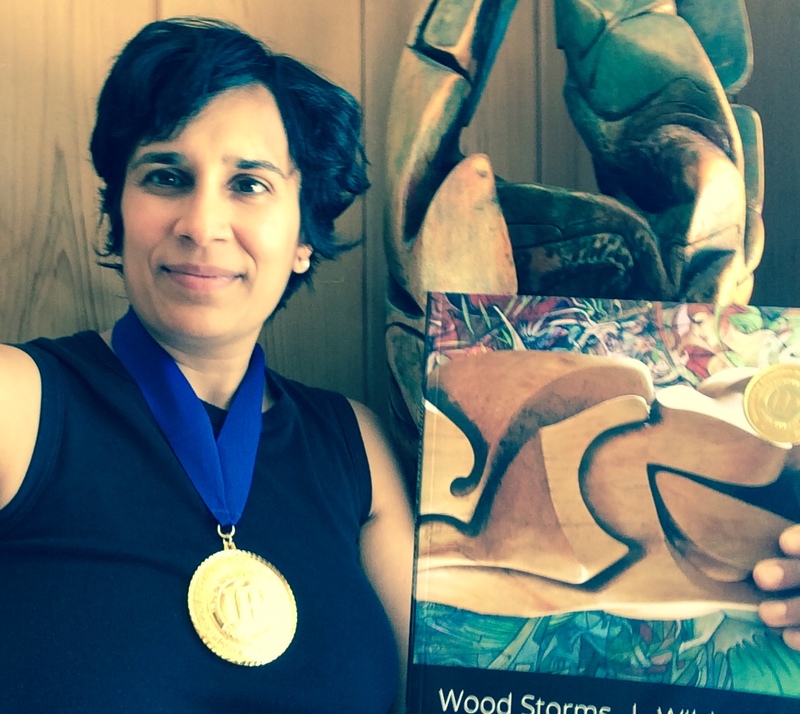 Wood Storms, Wild Canvas is an art book, a coffee table book, a history of a uniquely talented artist. It was and is a labour of love. It was made with FSC certified paper. It was printed in Canada and made with eco friendly inks. It was not a cheap book to make. I am proud of this book. I am also delighted to inform that for the first 1000 books printed, 1000 trees were planted in BC. Beauty and industry must come full-circle and interweave cherished values. Many people have told me how important the book is to them. Long time friends and admirers of Godfrey’s work finally can make some sense of the artist known as Goofi. 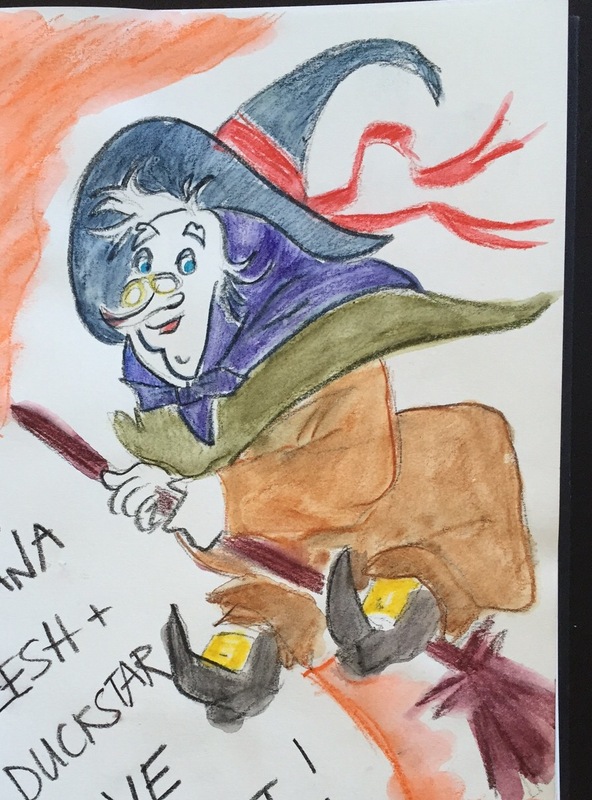 To have all his various genres in one place in full color with explanations to contextualize it – Ah how wonderful! To have a sense of the breadth and scope of his output. To read his own grammatically-creative and poetic musings. To hear from respected artists and writers about Godfrey. To be just gob-smacked by the visual poetry. It was a stormy ride but the proof is in the pages! 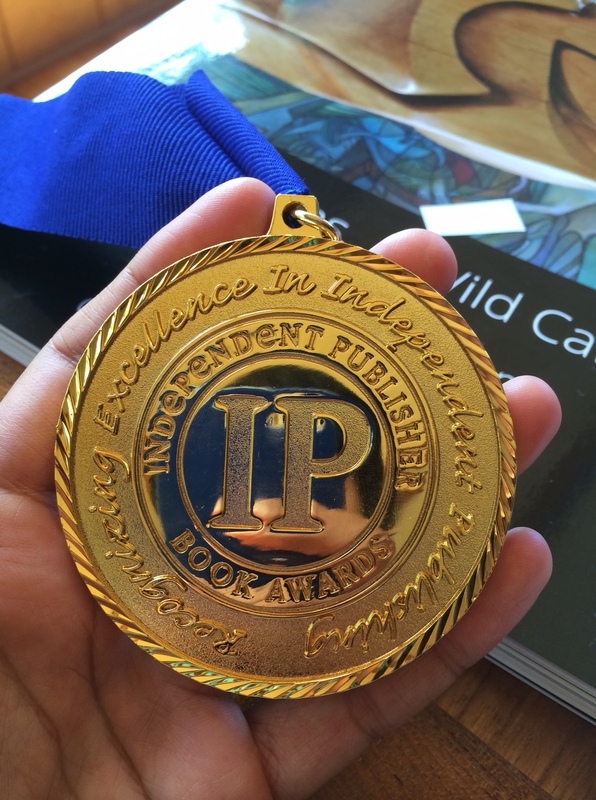 That Gold Medal validates all that hard work with uncertain outcome; it means more than the IPPY Book Awards could probably imagine. 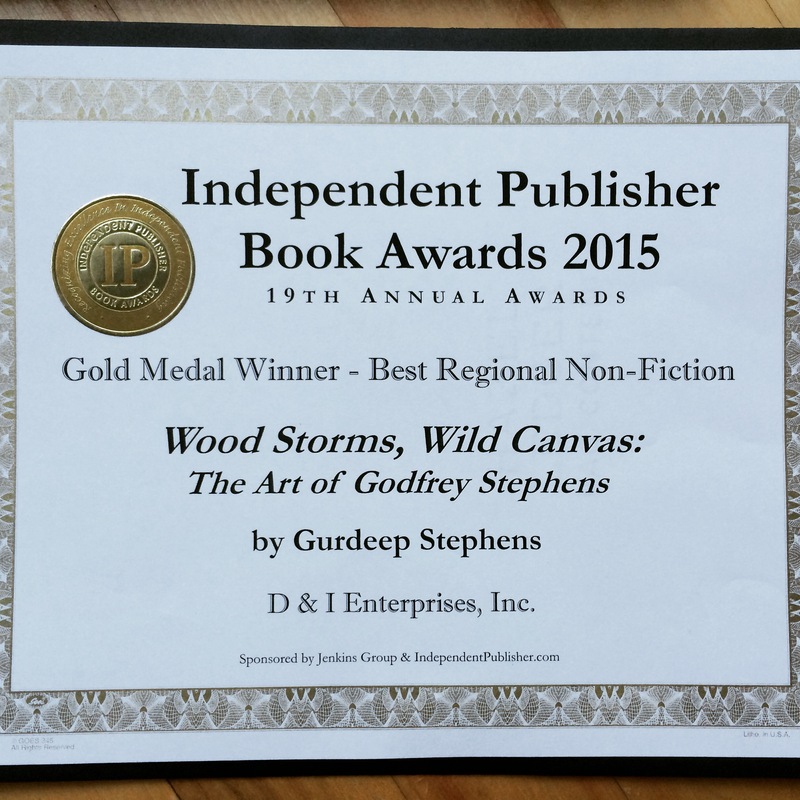 This entry was posted in Uncategorized and tagged artbook, artist, award, book, book-writing, Godfrey Stephens, Independent Publisher Book Awards 2015, ippy awards, woodstormswildcanvas on June 25, 2015 by Gurdeep Stephens.